Many expats choose to live in the northern suburbs of the city (Dainfern, Fourways, Cedar Lakes) due to its close proximity to international schools and its many security estates, which provide a convenient way of living. It’s also more recently developed part of the city, so all properties are newer and there is a wide variety of properties available. Johannesburg is a massive, sprawling city though, so before you choose to follow the expat crowds (which is an easy option), it’s worth investigating some of the other areas in the city, which may or may not be a better and more integrated option for you (and your family!). For expats who will be staying for a limited time, it’s probably more advisable to rent a property, but those looking to stay for longer could investigate buying a house, but note that the South Africa Rand is one of the most volatile currencies in the world, so you may not want to bring in a large sum of money. Free-standing home in a suburb: Freestanding homes will give you more privacy and space, but will also require maintenance and investment into security, for example an electric fence, alarm and voice/camera intercom for visitors. Generally houses in the Parks area are free standing. Security village/ Estate: A popular option for the more security conscious, a security complex will offer residents individual homes within a gated community, often with shared leisure facilities (golf course and tennis courts) and very strict entry and exit criteria at the gate. Big estates are mainly based in the far north of the city in and around Fourways. Townhouse / Cluster homes in a complex: Townhouses are split level homes that are larger than an apartment and typically have a small garden. Cluster homes, are smaller secured villages, larger properties but clustered together with 3 - 6 other homes behind guarded entrance. Bryanston, Hyde Park and a few dotted around the parks. Apartment in a complex: With the growth of the city, apartments are much more popular and widely available, but newer complexes are typically oriented for 1-2 bedroom apartments and can be smaller. 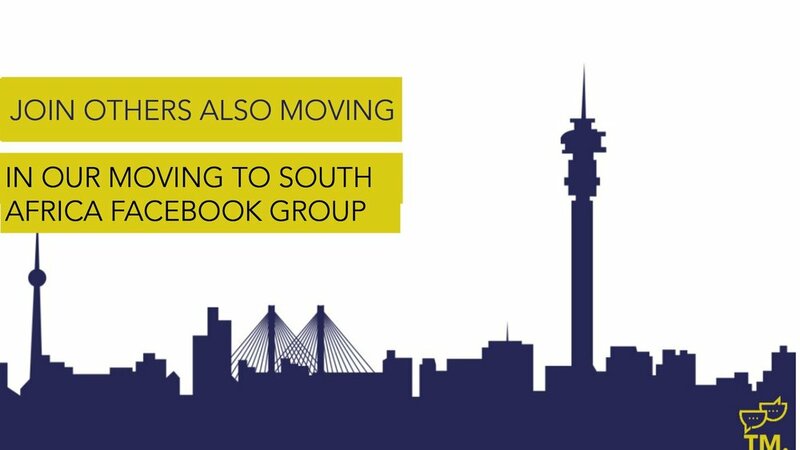 (Sandton and Rosebank) Apartment complexes in older, more established parts of the city can be larger though (for example 3 bedroom apartments in Killarney, Parkview and Illovo). TRAFFIC: Traffic will be a very important consideration when choosing where to live in Joburg, as the northern suburbs are notoriously gridlocked during peak hour traffic periods (approximately 7-9am and 4-6pm). Traffic can also be worse in the mornings if you live near to a school, university or highway onramp. The northern suburbs are very popular and offer a variety of different and affordable home options but because expansion in these areas has often been rapid, there hasn’t been commensurate growth and expansion of the road network in these areas, which originally served a farming community. NOTE: Roadworks on the main highway into town (the M1) and from Pretoria (the N1) are particularly choked up during peak periods and when there are accidents on the highway, so always factor in extra travel time when needing to drive on the highway. Apps like Google Maps and Waze can help you to figure out alternate routes. Houses can be a lot bigger than you might be used to, as there is generally more space available in Johannesburg and gardens will typically be bigger. The amount of space you require can influence where you’ll choose to live, as some suburbs and security complexes have more spacious homes than others. When looking for a house you’ll also need to factor in whether you’re going to get a permanent domestic worker and if they will stay with you. If they will, you’ll need to make sure they have their own room and access to their own bathroom. Johannesburg has particularly mild and sunny weather, so having a covered patio and outdoor space/garden to take advantage of the weather will make your life very enjoyable. A South African will also make sure to tell you to have adequate outdoor space for your braai (barbeque), which typically is a wood fired grill, but Webers and gas barbeques are becoming more popular. A swimming pool is also very common and can be a wonderful addition in summer, but does require a large amount of maintenance (there are pool cleaning services available, your Local Assistant can provide more details here). NOTE: Check the orientation of your home to make sure it is north-facing to take advantage of the movement of the sun in the southern hemisphere. Houses that face in another direction can be terribly cold in winter. To get a better idea of cost, you’ll need to do some research into the different areas of the city. Rental cost may also depend on whether or not the house is furnished, which might be a more convenient option, however there are much fewer options available, most houses come unfurnished. When looking for a house, you’ll need to consider what’s most important to you. Do you value independence and privacy? Or would you prefer the convenience and security offered by a security complex? We have a free guide to help you figure it all out. CLICK the image to your left to download it now. Once you have an idea of the type of property you are looking for, get in touch and we will keep an eye out for you. We would love to show you around the various neighbourhoods, and help show you a range of options. Some estate agents operate in particular areas of the city, but generally the well known international agencies operate citywide. Interestingly, many individual estate agents advertise on street poles and municipal trash cans (dustbins in South Africa) so it can also be worthwhile to contact an estate agent directly. Estate agents can sometimes take a bit longer to respond to email, so it’s best to give them a call or send them a message to set up an appointment, and get them to show you around! NOTE: Even when you’ve made a signed offer or lease application, don’t think that an offer is a guarantee! A landlord or seller can refuse an offer at the last minute so be sure to factor this in when looking for a place and making arrangements for furniture transportation etc. • Visit the estate agent and go through the lease in detail and make sure you understand every single point before signing. • Find out what utilities are included in the rent, and if possible, organise a pre-paid electricity meter as this will help you manage your electricity bill a lot more easily, especially in winter when you will be using a lot of electrical appliances to keep warm! You wont live in Joburg for long before you hear a horror story behind visa renewal, or process. Sadly the laws change regularly, and often it requires you returning home for 6 - 8 weeks whilst they are being processed. This information is correct at time of publishing, however please do call your local assistant if you have any particular questions, or we can support you to change your current visa. • Yellow fever certificates if your journey starts or passes through a yellow fever area in Africa or South America. NOTE: If you are travelling with minor children you will need to provide a certified unabridged birth certificate for each child, and if travelling without your spouse, you’ll also need to provide an certified affidavit from the missing parent. Click here to download a template affidavit form. If you would like to stay for more than 90 days, you’ll need to apply for a temporary residence visa. One of the major changes to visa legislation over the past while is that you can’t apply for a temporary residence visa while in South Africa on a Visitors Visa. So, to stay legally in South Africa for longer than 90 days you’ll need to apply for this visa before you arrive in South Africa. This is a visa for a foreign professional that wants to start their own business or would like to invest in a South African business. To qualify, you’ll need to invest R5 million into South African with funds that come from abroad. 1. Submit an application for recommendation at the Department of Trade and Industry (DTI). This will be then be forwarded to the South African mission if the business is feasible and of national interest. You will be notified of this but won’t know if the recommendation was positive or negative. 2. The South African mission will then submit the notification in support of the business visa application, which will be approved or denied. • A business visa can be extended from within South Africa. • Annual conditions listed will need to be acted on annually if the visa is approved. • A business visa holder can apply for permanent residence in South Africa at a VFS Centre immediately after the business visa is issued. A study visa is required for any foreigner who would like to study in South Africa at any educational institution that is recognised by the Department of Education. If you child is attending a South African school they will need to have a Study Visa (from the year they turn 6years). VALIDITY: The study visa will be issued in line with the course of study at the chosen institution. The maximum period of time is 8 years for primary school and 6 years for secondary school. MEDICAL AID: To qualify for a study visa the applicant will need to prove that they have adequate medical aid/insurance for the intended period of study and that this is recognised in South Africa. ACCEPTANCE OR ENROLLMENT LETTER: You’ll need to provide an acceptance letter or enrolment letter from the chosen institution to apply for a study visa. A study visa can be extended from within South Africa. A study visa can be changed to a different visa from within South Africa if the study visa doesn’t have any conditions. It is possible to apply for South African permanent residence on a study visa but certain conditions apply. • A direct-residence permit: You can only apply for this once you have been a temporary resident for 5 years (please note IntraCompany visa's do not qualify). • A residency-on-other-grounds-visa: this requires you to qualify for application. Read on to find out more. If you are NOT a permanent resident, and you would like to work in South Africa, you will need to apply for a work permit. If you are employed by an international company that operates in South Africa, or an affiliated company, for a minimum of 6 months, you can qualify for an intra- company transfer work visa. • You don’t qualify for permanent residence with this visa. • An intra-company transfer work visa is only issued for a maximum of 4 years. This visa applies to all applicants who don’t qualify for any critical skills, as listed in the Government Gazette. This will generally require you to have a sponsor who can support your application for employment. 1. Apply for a recommendation from the Department of Labour. The Department of Labour will then forward the recommendation to the South African mission (note that this can take a while). Processing at a South African mission can take between 10 to 60 working days. 2. One the applicant has been notified that the mission has received the recommendation, the applicant can then submit the application. In the event that an applicant’s employer can provide a strong motivation, an application for a waiver from certain requirements can be submitted to the South African mission instead of the application for a recommendation at the Department of Labour. This application for a waiver will be processed by the Department of Home Affairs, which can take 3-6 months. The South African mission will be notified on the outcome of the waiver application, and your employer will be given notification of the finalisation of the application, which will be submitted by Home Affairs in support of the general visa application. You can qualify for this visa if you have one of the critical skills listed in the Government Gazette. Click HERE for full list. 2. Register at the relevant professional body recognised by SAQA. This will provide the necessary letter of confirmation from the relevant professional body that is recognised by SAQA or relevant Government Department. The processing period at the various professional bodies are between 10 - 60 working days. • Police clearance certificates for applicants who are 18 years and older, from all countries where they have for more than one year (note that applying for this in itself can take a while). *Minimum times can differ depending on sources so be sure to check with your Local Assistant to make 100% sure. • You will need to visit the South African mission or VSF in person to submit your application. • You will need to pay the prescribed fee in the prescribed format when visiting the South African mission to submit the application. • All supporting documentation must be in English or translated into English by a sworn translator. It is possible to apply for a work visa as an accompanying spouse on a valid work visa, provided that the spouse qualifies for a suitable work visa and that there is no condition on the accompanying spouse visa. For more information on various work options available to "accompanying spouses" please speak to your Local Assistant. All personal documentation in support of an application should be available in South Africa at all times. Start the renewal process early! You can renew your visa from within South Africa (apart from Intra Company), but take note that you need to wait for the renewal to be granted before you leave the country otherwise you won’t be able to re-enter. Please take note of the validity of your passport, and that you will need to apply to transfer a valid permit to a new passport when you renew it. If you have downloaded our Ultimate Expat File onto Evernote - you can set yourself a reminder for these expiry dates. Click Here for more info on the Ultimate Expat File. A visa only shows that you have gone through the necessary rigmarole to legally enter and stay in a country, it does not guarantee entry. If you are caught for whatever reason, try to avoid them stamping you as undesirable - its a lengthly process to reverse. You can apply to have an overstay uplifted electronically at the Department of Home Affairs office, but only with a strong motivation. The outcome will be received in an official electronic letter. If you are caught then please do contact our Local Assistant who can advice you further. The wonderful team at Immigration Boutique put together a great crib sheet outlining the various Visa options. Click Here to Download It. moving to Johannesburg, Johannesburg, expat life, expats in Johannesburg, expat visa, can I work in south africa, becoming an expat, moving abroad, life abroad, expat family, expat mom, life in Johannesburg, expats in Africa, African life, living in Africa, moving to Africa, whats life like in Johannesburg, whats life like as expat, things to think about before moving to africa, things to think about before moving abroad, packing list, international move. Repatriation. Relocation. The real cost of creating an online course - Finance and Time. Time Investment - How long will it take? MTN: There have been complaints of poor customer service in the past but MTN undoubtedly has the most expansive service network on the continent so with an MTN contract you’ll often get signal in area when others don't, which can be helpful if you intend on travelling to off the grid places. Vodacom: The most established and accessible service provider (apart from in Bryanston area), you’ll find a branch in most shopping malls, and although there are still complaints around customer service, steps have been taken to improve this. Similarly to setting up a bank account, to set up a cellphone contract you will need to provide proof of identity and proof of address, to comply with RICA, the Regulation of Interception of Communications and Provision of Communication-Related Information Act, which makes it compulsory for everyone in South Africa to register their cellphone number. This can be a pain, but to reduce crime, needing to provide a permanent address has recently been introduced to make cheap phones and pay-as-you-go contracts more difficult for criminals to buy on the fly. You can set up a contract at any franchise store around the country, provided you have the right documentation, but be aware that these stores can be busy, especially on weekends, and are often understaffed. With rare exceptions, everyone in South Africa will have a mobile phone, but not everyone will have a smartphone, so keep in mind that communicating with some people will be largely via text, calls or Whatsapp. Be aware that to get onto a contract you will need to have a work permit that is valid for the full 24 month period. But once on a contract it is cheaper than pay as you go for data and calls. The best way to get set up is to pick up a SIM card at the airport, (you then don't need to have proof of residence). One company that offers this service is: B4 I Travel https://b4i.travel/za/. If you want to get connected straight away, the fastest way to do this is to purchase a router through Vodacom and use their pay as you go service, this will enable you to get wi fi until you or your landlord set up the fibre or connection for you. Telkom is the national telecommunications provider, and is a company you will often hear South Africans complain about due to poor customer services (although this has also been challenged to improve with recent industry competition). Telkom provides fixed line voice and ADSL services, but they only provide the line. Once you have secured a Telkom line (which can sometimes be a lengthy process), you’ll need to take out an additional service provider contract, although they will manage the line for you. If you are renting an apartment or house that has been lived in before you’ll often find that there is an existing Telkom line that just needs to be reactivated. In order to set up a Telkom line you will need to set up an appointment for a technician to activate/install the line. While inconvenient, you will need to set aside a day to be at home, or arrange for someone to be there, as the technicians work on a rotation basis and won’t give you a definite time of arrival. They will also be leaving and coming back in order to check the line and how it corresponds with the central hub for your suburb/area so expect this to take at least an hour or two, depending on whether there is a problem or not. You will be billed separately for the Telkom and the ISP accounts. You will receive all of the invoices via email. There is the option to set up a debit order for payment to your ISP, which you can set up through your online client profile (this is the case with Afrihost). You will need to buy your own modem, although you can order this through your service provider for an extra fee. You will also need to do the setup yourself but if the Telkom line is working correctly this isn’t difficult at all. NOTE: When dealing with Telkom, especially when logging a fault (when your internet doesn’t work), always get a reference number. In many areas of Joburg there are various companies setting up fibre-optic lines, which are contracted by suburb. Check with your apartment complex manager or residents association to find out which fibre optic service providers are in your area, and to find out specifics about contracts. In the case of an apartment complex, there will be a central fibre connection point that all apartments will connect to. The difference with fibre is that it is independent of Telkom infrastructure, so you can deal with the service provider directly instead of having to go through a third-party line provider. To own a television in South Africa, you will need to pay an annual TV licence fee, which gives you access to all of the free national channels: SABC 1, 2 and 3 and eTV. To be able to watch a more diverse variety of television shows you will need to subscribe to DSTV. Premium access currently costs R759 a month, with various other packages available depending on the channels you want to watch. Note that there will be an additional cost for the DSTV decoder. While many South Africans will have a DSTV subscription, online subscriptions are also becoming more popular, like Netflix and Showman. Particularly when linked to your own VPN service. It’s not as common for households to have a fixed voice line anymore as everyone is contacted via mobile phone, but in the case that you want one for international calls, you will just need to follow the same contract setup process with Telkom as you would for an ADSL line- you’ll just be paying extra for voice line rental, and for calls.